The Best Fishing Trap On The Market Today! We have been building the best fishing lobster trap in Atlantic Canada for over 20 years and we are always the first to come up with new and innovative designs that has been proven to be unsurpassed in our industry! 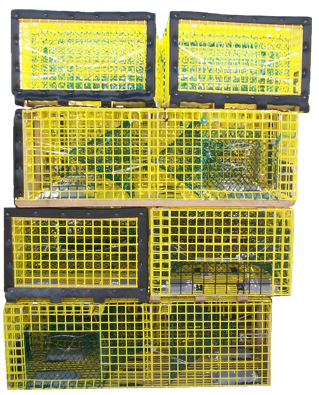 We have always been the first in the business to improve both the components and the design of lobster traps. We use only the very best wire in the industry. We can also use the wire of your choice. We are dealers of many types of high quality wire mesh. AQUAMESH - MADE IN THE U.S.A.